Sophia Yakovlevna Parnok; sometimes the first name is spelled Sofia or Sofya - Russian poetess and translator, close friend of Marina Tsvetaeva and Faina Ranevskaya. She entered into the history of world literature as "Russian Sappho". 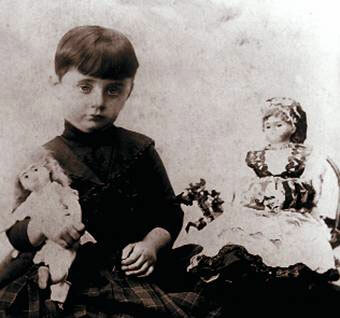 Sophia Parnok was born in the city of Taganrog on August 11, 1885 in a pharmacist's family. 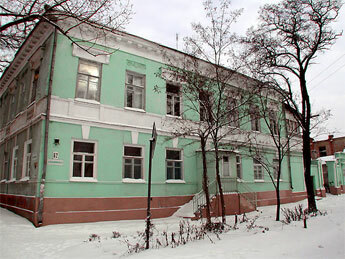 She studied at the Empress Maria Taganrog Girls Gymnasium in 1894 - 1903, traveled through Europe, studied at the Geneva Conservatory, but lack of financial means made her return to Taganrog in 1904. She entered Saint Petersburg Conservatory in late 1904, but abandoned the studies and left again for Geneva, where she had her first experience as a playwright with the play The Dream. In June 1906, she returned to Taganrog. In 1907, she married Vladimir Volkenstein and moved to Saint Petersburg. In January 1909, Parnok divorced with her husband and settled in Moscow. At the beginning of World War I, she met the young poet Marina Tsvetaeva, with whom she became involved in a passionate love affair that left important traces in the poetry of both women. Parnok’s belated first book of verse, Poems, appeared shortly before she and Tsvetaeva broke up in 1916. The lyrics in Poems presented the first, revolutionarily nondecadent, lesbian desiring subject ever to be heard in a book of Russian poetry. Parnok left Moscow in late summer 1917 and spent the Russian Civil War years in the Crimean town of Sudak. There she wrote one of her masterpieces, the dramatic poem and libretto for Alexander Spendiarov's 4-act opera Anast, which was a big hit in Bolshoi Theater in Moscow in 1930, in Odessa, Tbilissi, Tashkent, Yerevan and in Paris (1952). Sophia Parnok is the author of collections of poems Roses of Pieria (1922), The Vine (1923), Music (1926) and Half-voiced (1928).The Soviet censorship soon decided that Parnok’s poetic voice was "unlawful," and she was unable to publish after 1928. She made her living making translations of poems by Charles Baudelaire, and novels by Romain Rolland, Marcel Proust, Henri Barbusse and others. Parnok died of a heart attack in a village near Moscow on August 26, 1933. By the end of 1930s, the Soviet Writer Publishing House issued a collection of her poems.